The possibilities of how to use pesto are endless; spruce up sandwiches, pastas, salads, fresh veggies, and crackers. Pesto also adds a nice blast of nutrients to the diet, thanks to the beneficial fat and protein from the nuts, seeds, and oil. These five simple pestos take your favorite spread to the next level. 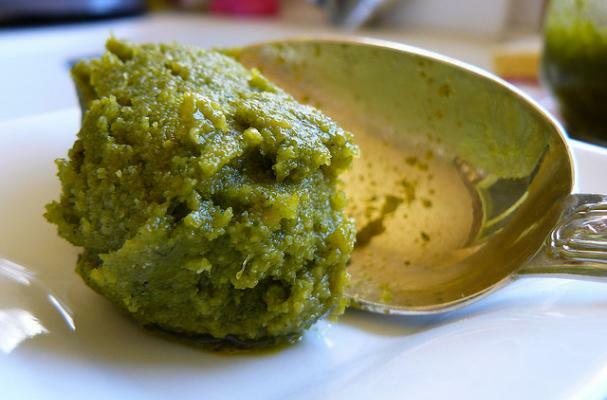 Similar to a classic pesto, but with a few twists. Basil takes a back seat to parsley and thyme. A perfect spread to add more omega-3's to your diet. Kick things up a notch with hot peppers. A completely new flavor profile.